IRVINE, Calif., September 8, 2016 – Football is back! 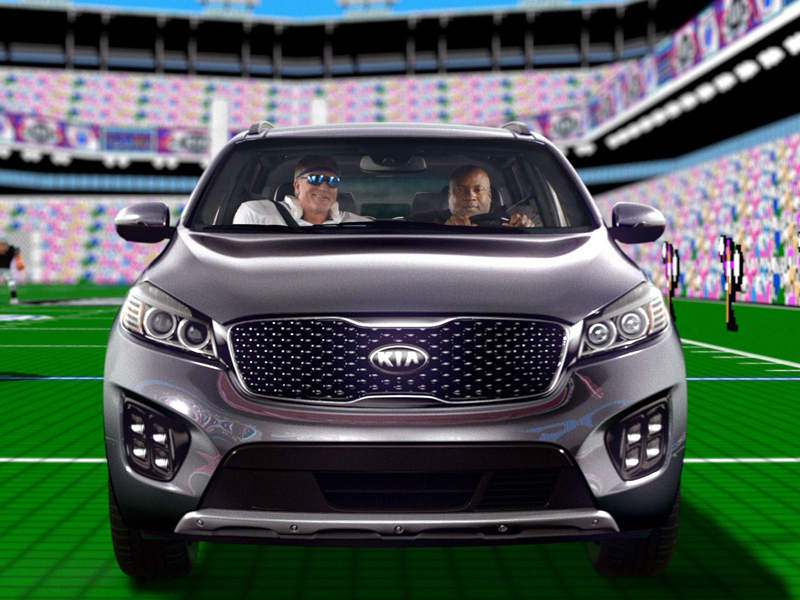 And nearly 30 years after crossing paths in Seattle, football legends Bo Jackson and Brian Bosworth find themselves once again on a collision course – but this time with a very different result – in a new advertising campaign debuting online today for Kia Motors’ award-winning Sorento. When the “MVP of SUV’s” effort makes its broadcast debut this Sunday, it will mark Kia’s third consecutive season with NBC’s “Sunday Night Football,” and offer a new twist on Tecmo Bowl, still considered one of the best sports video games ever nearly three decades after its release. Created by David&Goliath, KMA’s advertising agency of record, the “MVP of SUV’s” campaign showcases the 2017 Sorento’s extensive list of standard and available driver assistance and infotainment features, including: Forward Collision Warning and Autonomous Emergency Braking; an intelligent and fully active all-wheel drive system; and the latest generation of Kia’s voice-activated UVO infotainment and telematics system featuring Android AutoTM and Apple® CarPlay which can be paired with a 630-watt, 12-speaker Infinity® premium audio system that uses Clari-FiTM4 technology to rebuild audio details lost in digitally compressed music.